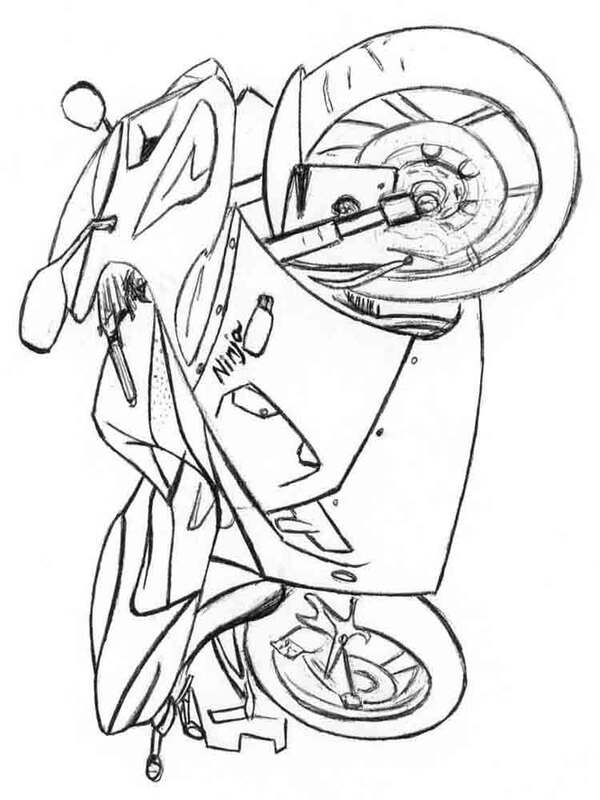 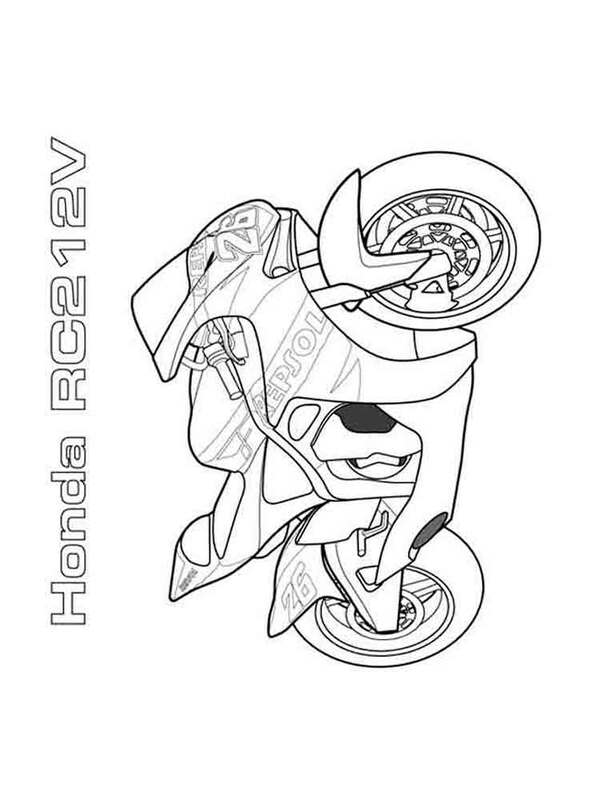 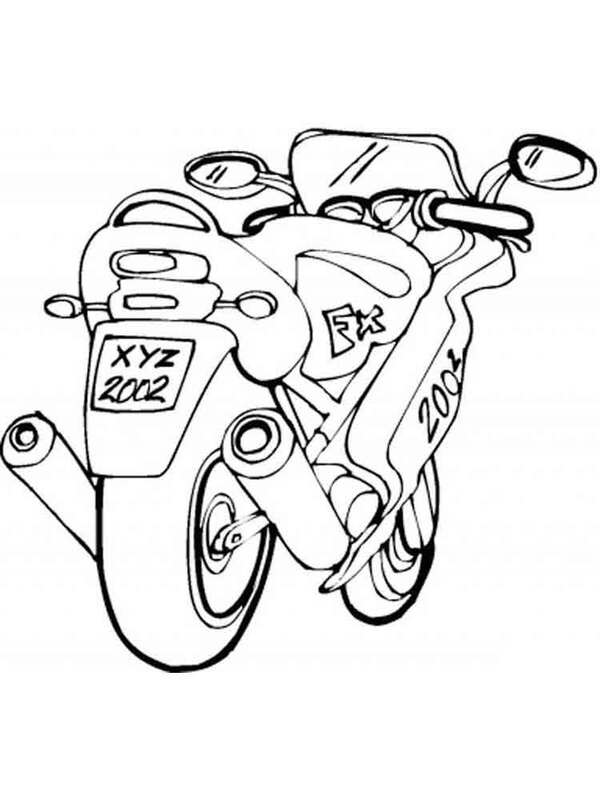 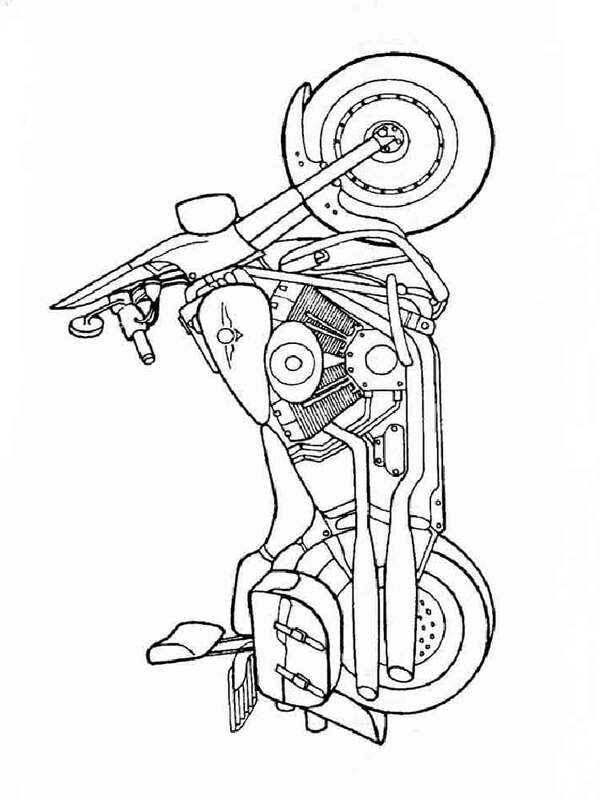 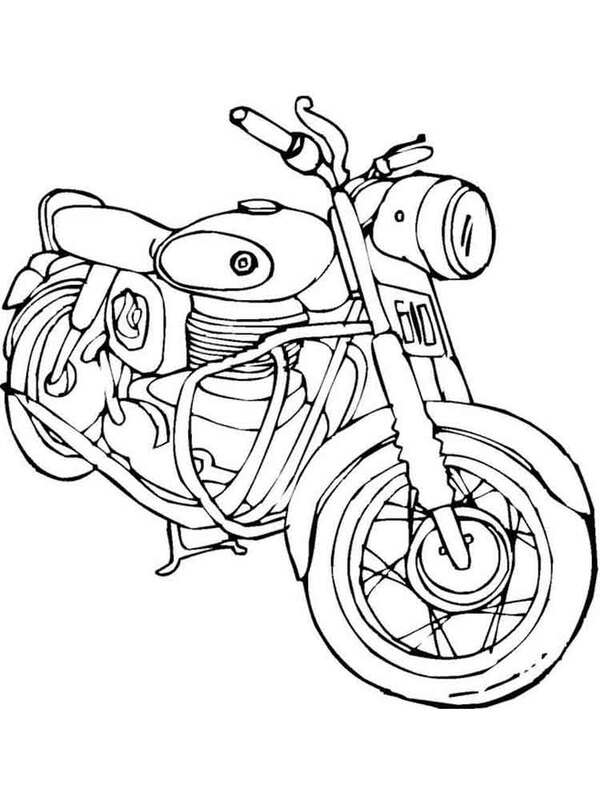 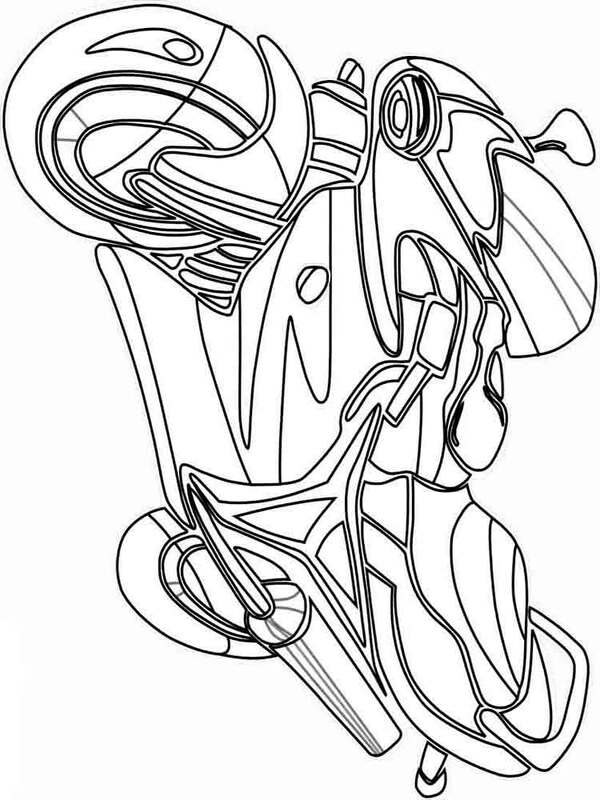 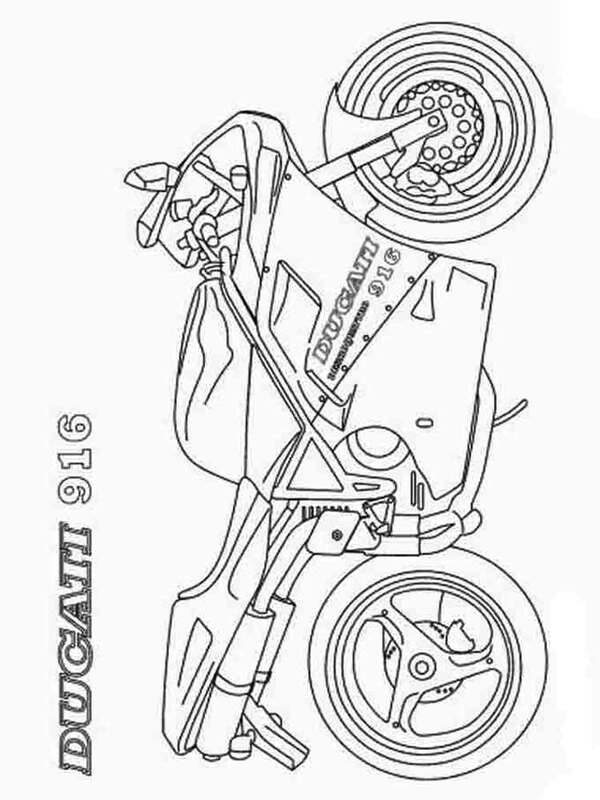 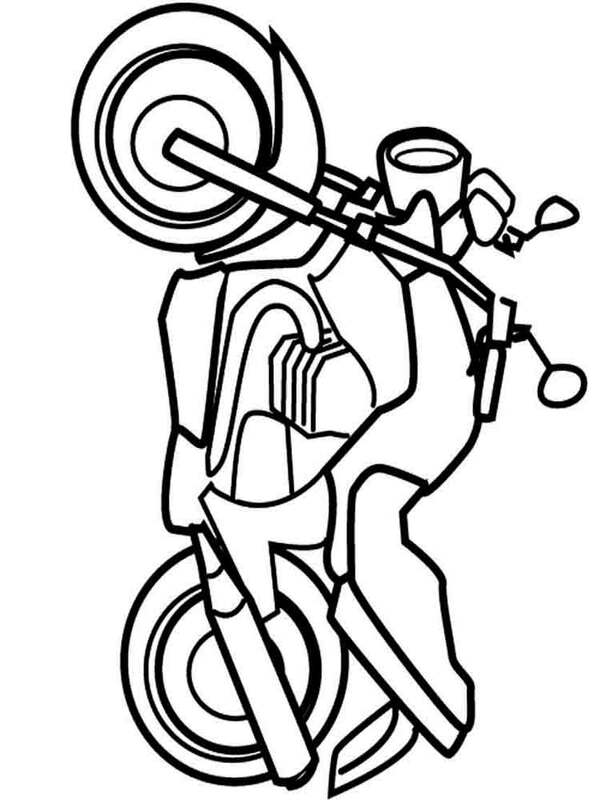 Motorcycles coloring pages are pictures of one of the most popular vehicles, after cars. 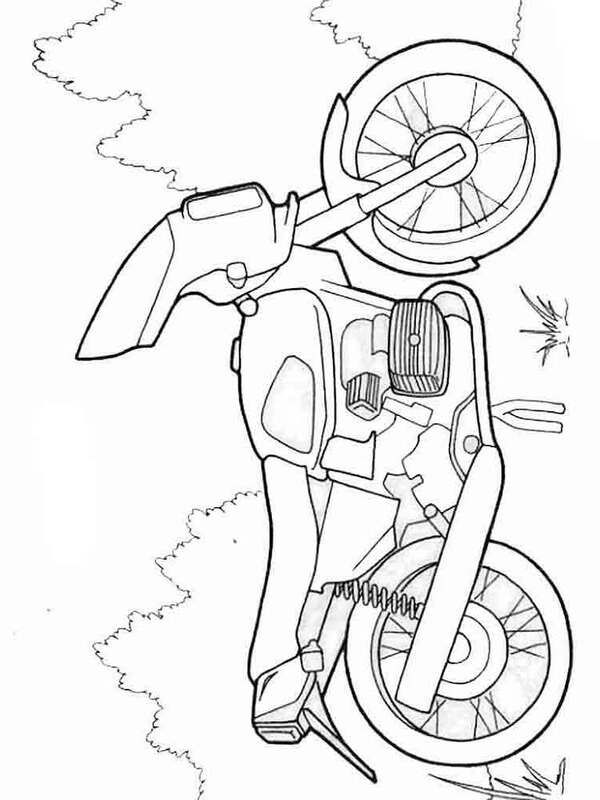 Coloring pictures with motorcycles will be pleasant to both little kids, and children of more advanced age. 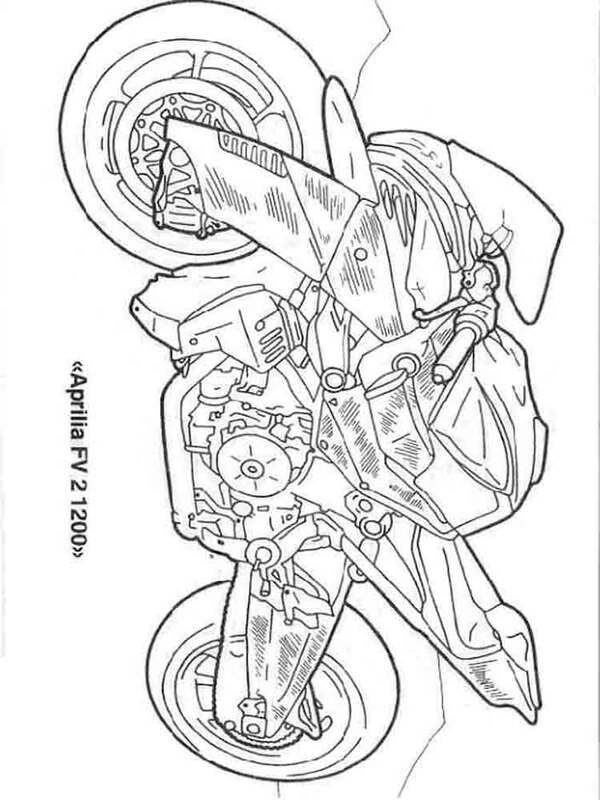 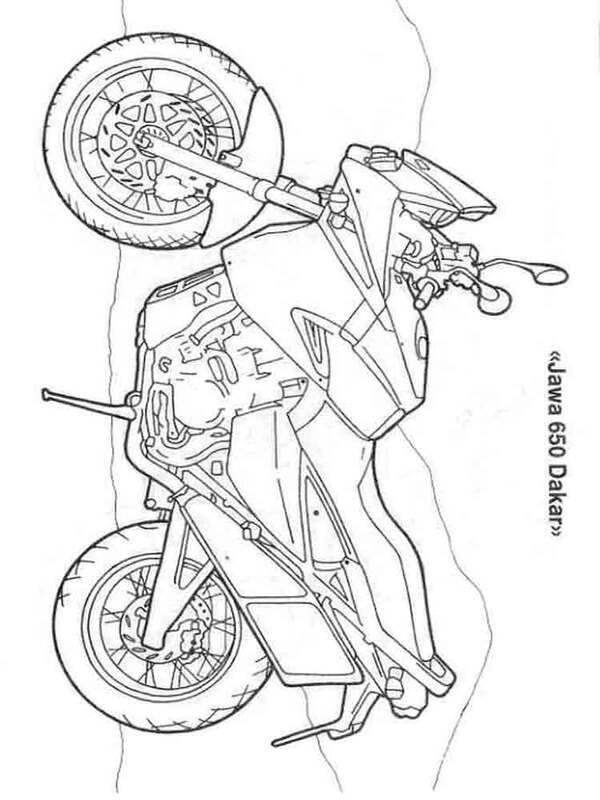 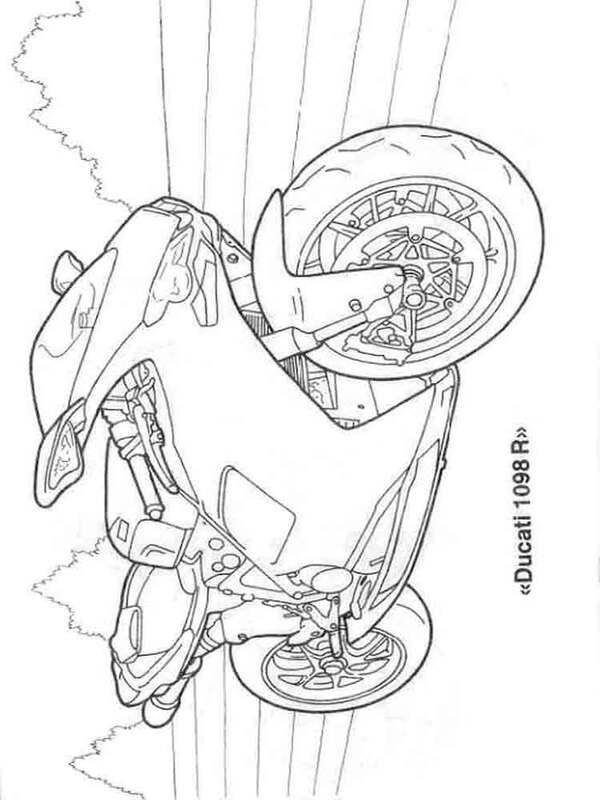 In this section we have prepared for you a remarkable collection of coloring pages with motorcycles which you can easily download or print for your boy and girl. 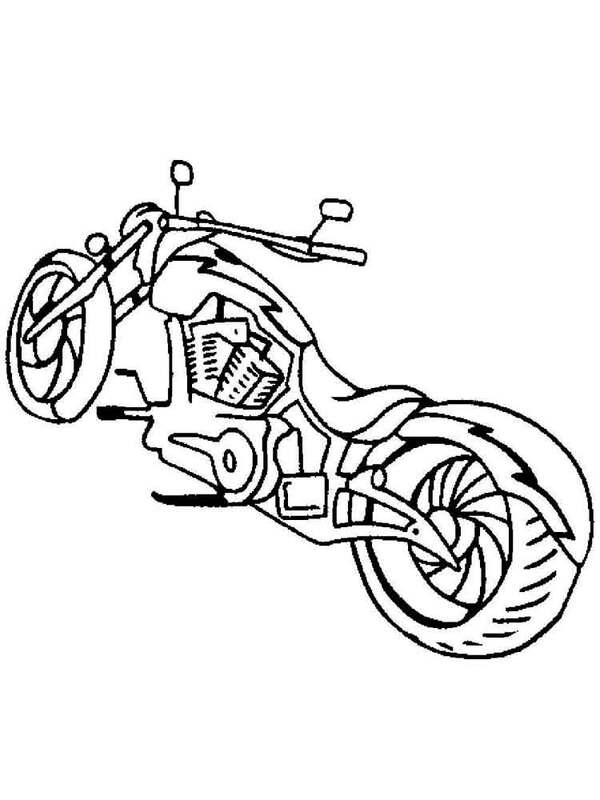 The motorcycles are two-wheeled vehicles and are subdivided into different types: classical, cruisers, turer, sports, highway, cross, choppers. 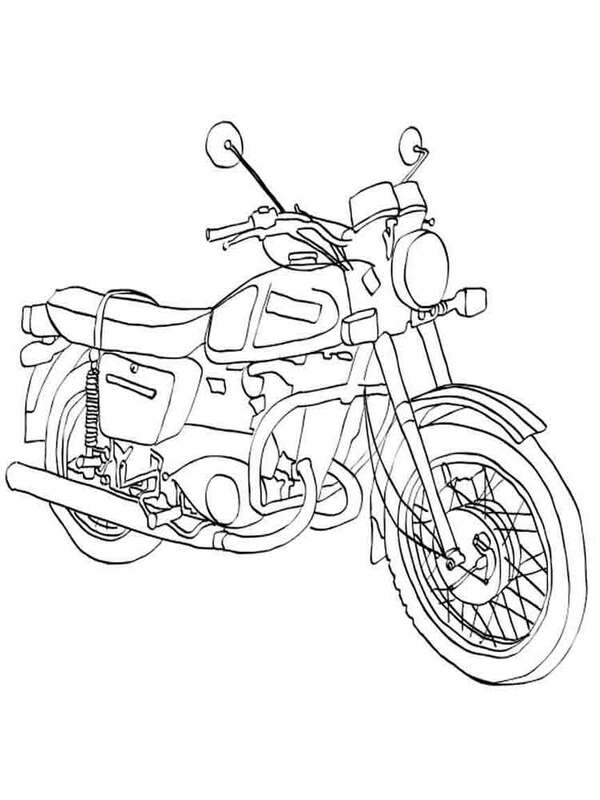 The first-ever motorcycle was invented by Germans Daimler and Maybakh in 1885. 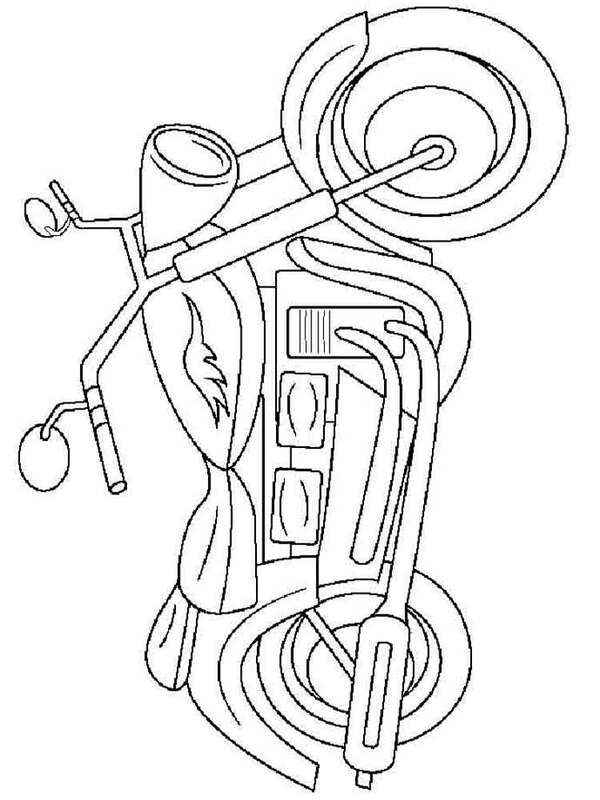 The engine 1,5 horsepowers has been established by capacity on a wooden frame and wooden wheels. 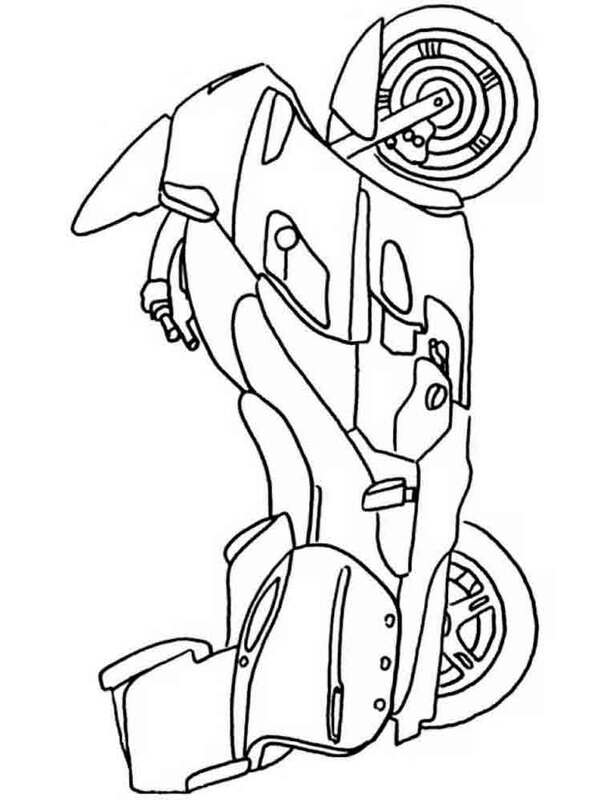 Over time this transport has purchased great popularity around the world and began to develop intensively in all directions. 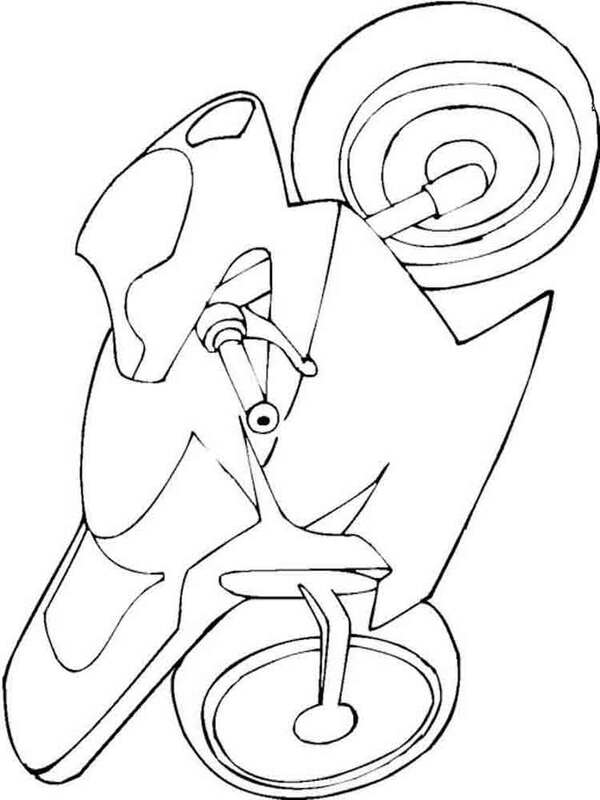 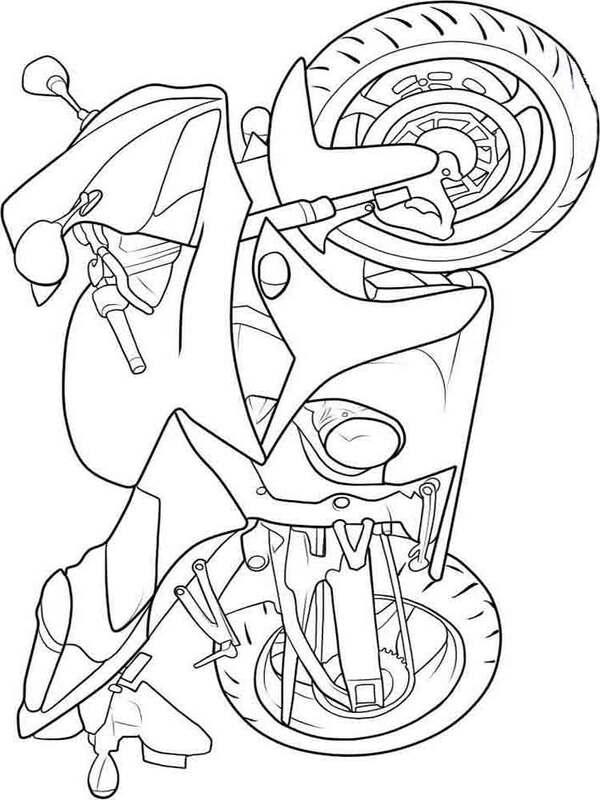 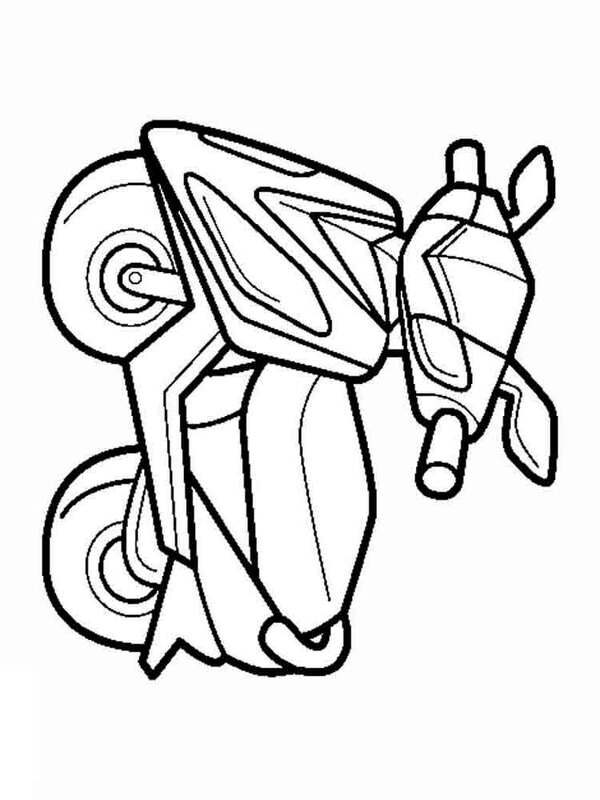 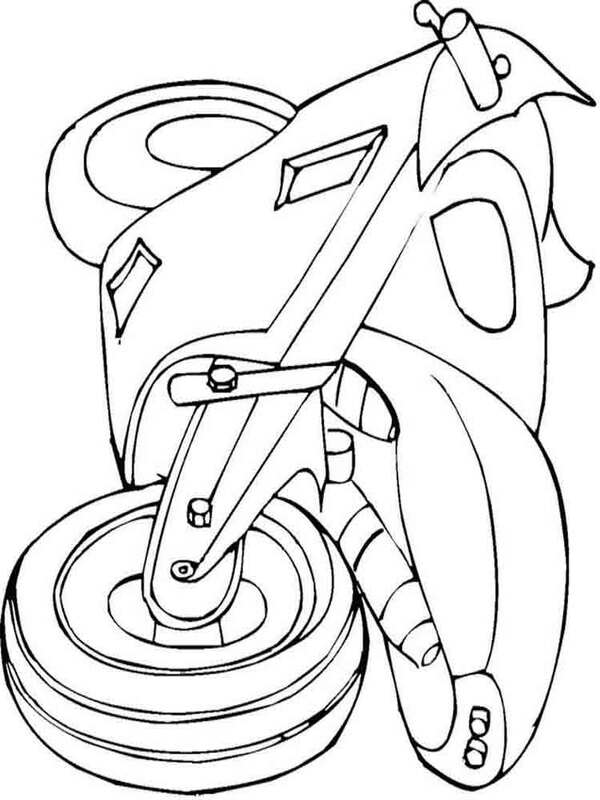 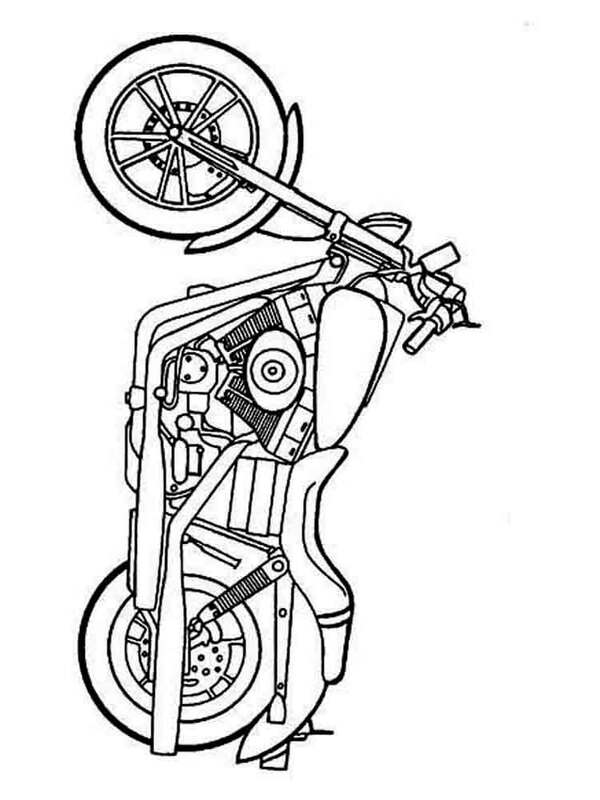 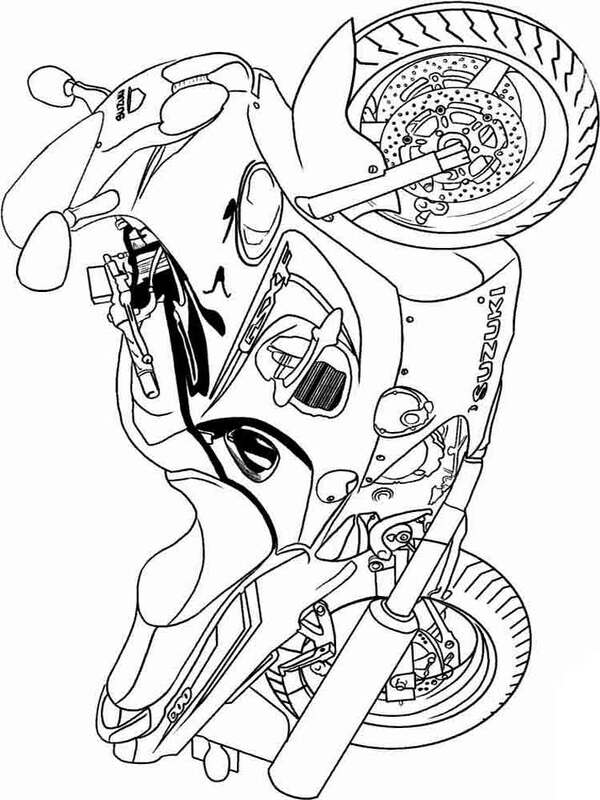 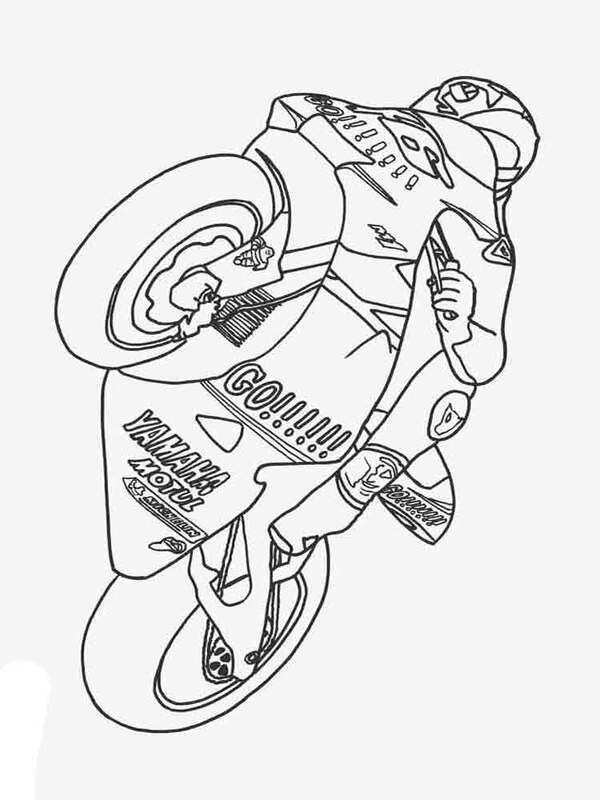 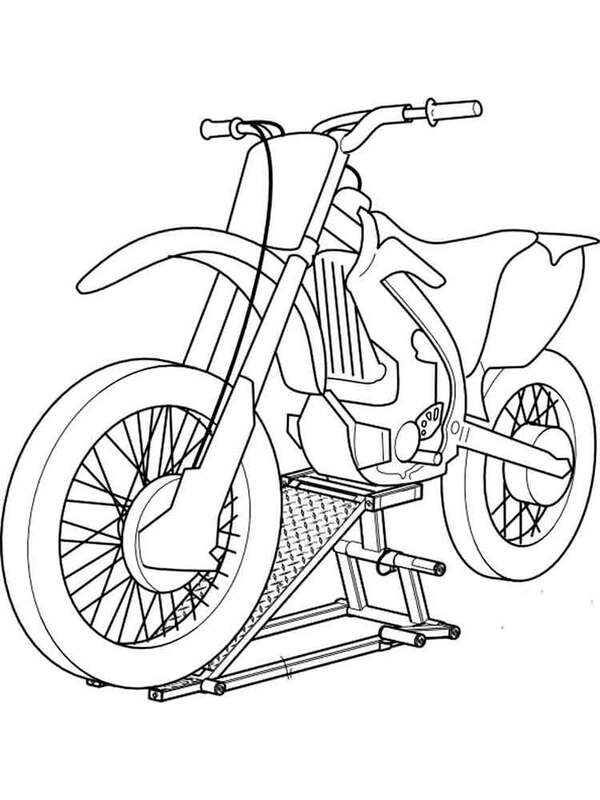 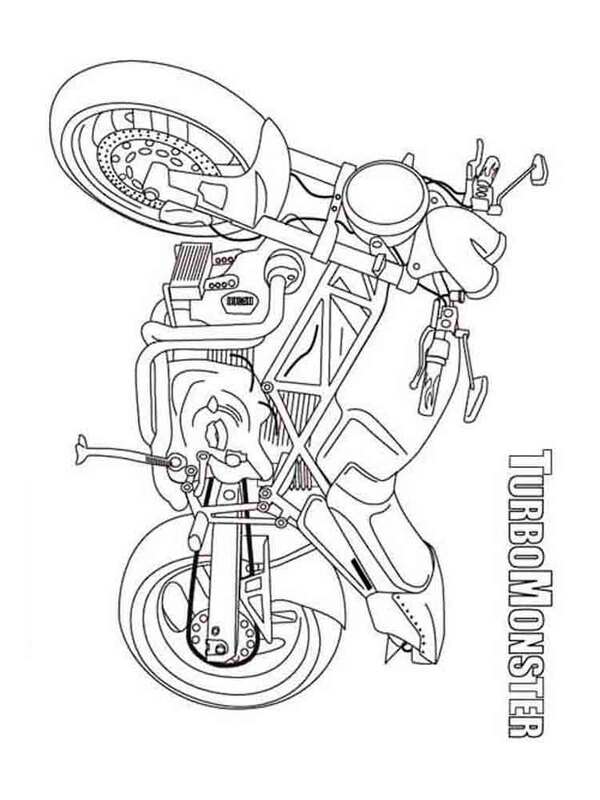 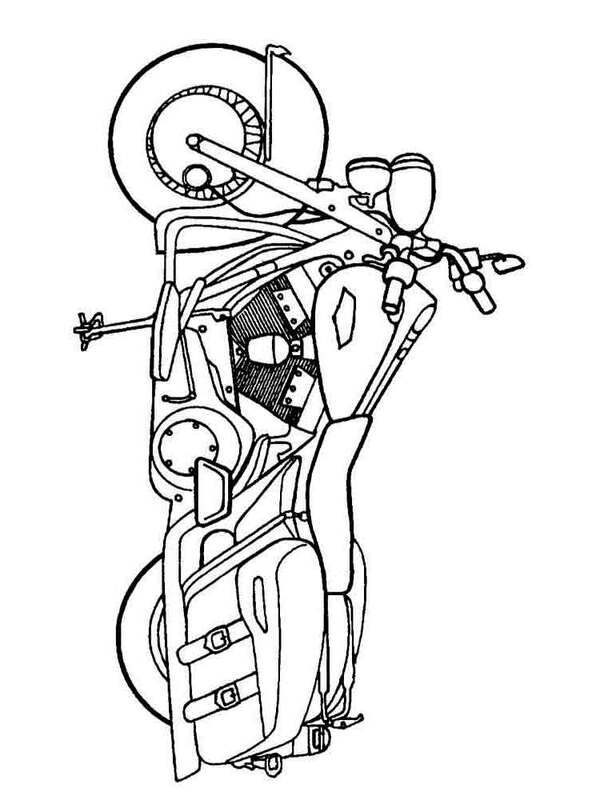 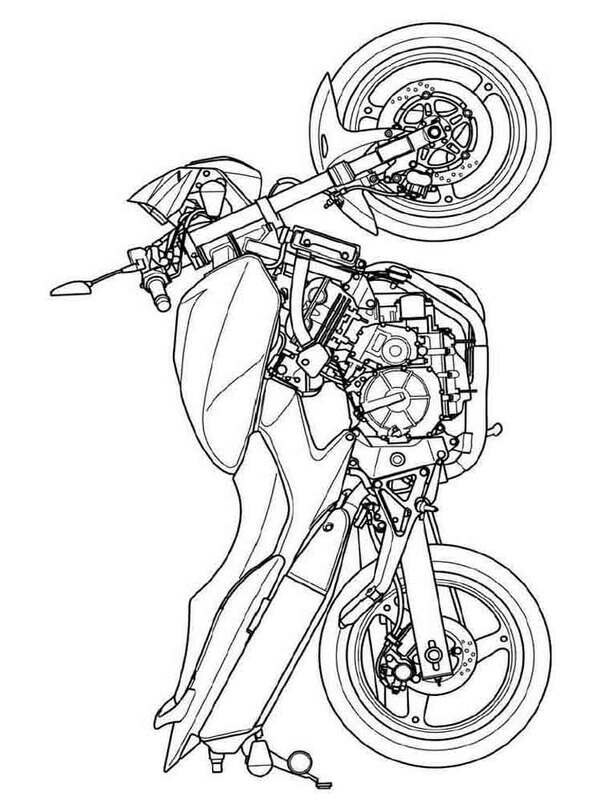 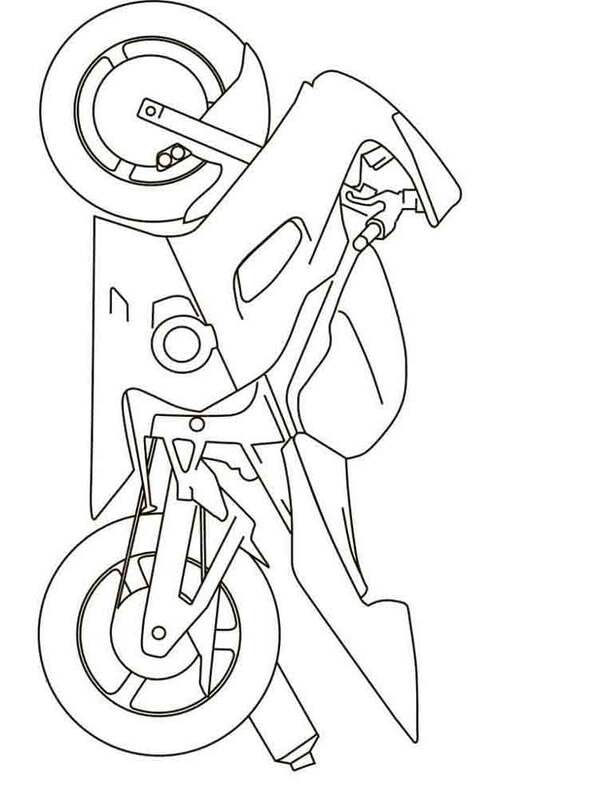 We suggest you to download and print motorcycles coloring pages for your kids. 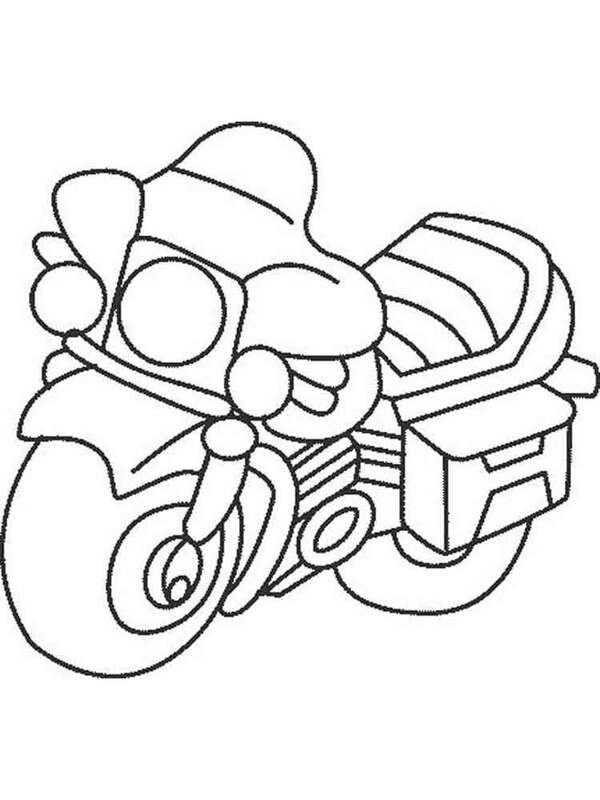 Any boy with pleasure will paint coloring pictures with them, everything that you need to do - to give to your kid pencils or felt-tip pens.